When SEO (search engine optimisation) is carried out correctly, it is one of the most cost effective ways to create revenue from your website. It is however, a subtle blend of science and skill to which one minor alteration can make the world of difference between success and failure. By combining technical on-page optimisation, off-page backlinking strategies, inbound marketing methods and producing shareable content, your organic website visibility in the search results can be increased significantly. 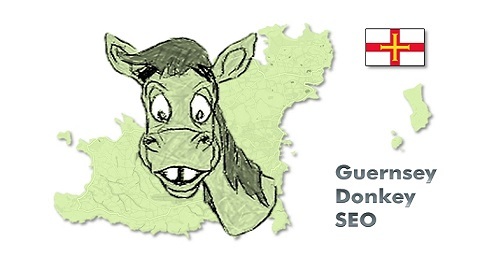 Thank you for visiting my Guernsey Donkey SEO website. 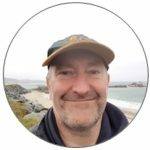 My name is Martin and my goal is to kick your website up the rankings with the art of Guernsey SEO. Why is it so important to get your website onto the first page of search engines, mainly Google? With over 90% of searches on Google occurring on the first page, and 60% of those searches occurring in the first 3 positions on page 1, it’s evident that the higher that you appear in the rankings on the results pages, the more prospective customers will visit your website. The natural consequence of more website visitors will result in more paying customers. The two main questions that are always asked are; how do I get my website to the top of Google and how long does it take to get there? 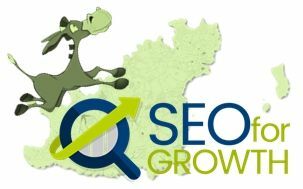 I have tried to answer some of your questions below but please feel free to drop me an email for further information – martin@guernseydonkeyseo.co.uk. Check out my SEO experiment that I did on this very website. 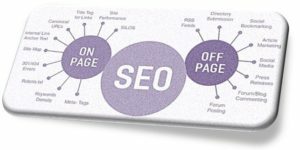 What is SEO (Search Engine Optimisation) and how does it work? Most people would agree with the fact that in today’s digital world, it is essential for companies, large and small, to have a strong online presence and identity. SEO or search engine optimisation, is a part of establishing that identity. Basically, SEO is the process of optimising a website in order for it to appear as high in the SERPs search engine results pages as it can, especially for money keywords or phrases. These are search terms that have a greater prospect of acquiring a sale or a lead. Why optimise? Well, the objective of the search engines, Google in particular, is to provide a great experience for their users, and for them to achieve this, in their results pages, they display websites that tend to have the most appropriate and quality content. SEO is a huge subject and takes many years to understand it. With over 200 ranking factors, Google’s algorithm is extremely complicated and is constantly being updated and improved. The SEO agency has to keep on top of these changes or else they will become ineffective. The ranking factors are built on mathematical equations that produce billions of search results and then display relevant information to the searcher in less than a second. SEO is the practice of feeding the algorithm what it wants using numerous technical and content on-site, and link based off-site methods to attain high search positions. Whatever happens with the changes to the algorithm, SEO can be broken down into those two major categories. On-Site SEO: By developing the quality of a website’s content along with maximising its performance, it is possible to substantially improve the probability of Google giving it a higher position in the search rankings. Off-Site SEO: When calculating where your website will rank in its reach results, Google also takes into consideration a number of external website factors, for example, the amount of backlinks your website has from other domains that are about the same topic. Through developing relationships with other website owners and promoting your website with them, we can encourage them to link to your site to improve your search position. The adage “how long is a piece of string?” springs to mind. If you were to ask a builder how long it will take to completely finish a house, you would probably get a similar reply. No two websites are alike. There are many on-site and off-site factors to take into consideration. Every niche or business is different and every website is built differently. Although your website designer has probably done a great job on your website, it still might need changes to its architecture or structure and its content may need updating and improving. Some niches and industries are very competitive whilst others are relatively easy to get higher rankings. Another thing to consider is your budget and how much time you want the SEO expert to devote to your website. One of the big issues is where do you want your website to rank? By this, I mean do you want it rank locally, Guernsey in our case. Do you want to rank in the UK because you have business with the UK? Or do you have a business that sends products globally, all over the planet? A local company looking to rank for the keyword “Donkey digital marketing” for instance, would expect to see positive ranking results in the shortest amount of time, maybe three months and upwards. This is because there are a fewer number of local competitors for the search term. Whereas, a company that wants to rank globally for the search term “digital marketing” for example, would be waiting a long time to see any positive results. In truth, that is a very competitive keyword and it could take years to achieve, if at all, because the competition is so immense. Also, businesses have large budgets and can divert lots of money to SEO. The UK would fall somewhere in between but is still highly competitive. In summary, below are some of the main ranking fundamentals. Only Google knows the exact numbers but research indicates that between 80% and 90% of searchers do not continue their search onto page 2. If you have already invested in, or planning to invest in a business website, you are going to want as many eyes as possible to see it. That means you are going to have to get it on page 1 of Google to ensure that you have a chance of tapping into the 80% plus of searchers that visit it. It boils down to acquiring the maximum share of the market as you can get. Any business that is on Page 1 of Google, especially the first 3 positions, is going to be displayed in front of many more eyes than a business on page 2 and lower. Investing in search engine optimisation will ensure that your business is being seen by many more people. Even if your business is doing really well without being online, having an online presence is a superb method to increase brand awareness and also can be used for management of reputation. In any case, having a website in front of a lot of visitors can only be good for any business, for any reason. Will SEO get me more website traffic? A lot of people believe that SEO has one function and that is to get higher rankings. While this is true, it is also true that there is another purpose behind SEO on a website. It is not good enough for a website purely to rank high in the search engines, it is more important to rank for the right keywords or search phrases. There are keywords and there are keywords. It is possible to rank high for hundreds of keywords that people simply aren’t searching for; totally worthless. You need to rank for keywords that people are searching for. 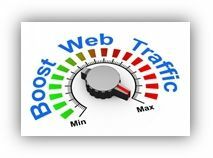 You need traffic clicking onto your site. There are also keywords that rank high and get traffic but they simply don’t buy from you or don’t leave their email address, or whatever your business goal is. There are keywords that attract visitors and those visitors complete whatever your business goals are. These are the search phrases that you want. If SEO is carried out correctly, traffic to your site and improved search positions should go hand in hand. People that are looking for the keywords that your site has been optimised for will naturally lead to a higher conversion rate as they will be clicking through to your website. Guernsey Donkey SEO Answers Some Of Your Questions. What Is SEO? How Does SEO Work? How Long Does It Take To Work? Why Should You Invest In SEO?